Writers In Treatment, supporting recovery and the arts, is proud to announce this year’s honoree of the 10th Experience, Strength and Hope Award, TV and film star Jodie Sweetin. Best known as the precocious middle daughter on ABC’s Full House, today she continues to shine on and off screen and can be seen reprising her role as Stephanie Tanner in the Netflix reboot “Fuller House”. The event will take place on Thursday, February 28, 2019 at the Skirball Cultural Center in Los Angeles. 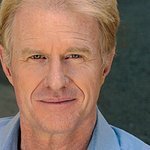 Hosting this year’s award show is six-time Emmy Award nominee and environmentalist, Ed Begley Jr. Headlining the evening is comedian and star of Showtime and HBO comedy specials, Mark Schiff. The evening includes special appearances by Golden Globe winner Joanna Cassidy and past recipient Mackenzie Phillips. Tony Denison, star of TNT’s “Major Crimes,” will be presenting the annual REEL Recovery Film Festival “AUDIENCE FAVORITE AWARD” to “Andy Irons: Kissed By God” directed by Todd and Steve Jones. The 10th Annual Experience, Strength and Hope Award is given in recognition of an individual’s memoir including their honest journey from addiction to recovery, and their dedication and enthusiasm for carrying the “message” to a society awash in addiction. Previous recipients include: Oscar winning-actor Louis Gossett Jr; Astronaut Buzz Aldrin; Duran Duran's John Taylor; Carrie White; Emmy Award-winner, Joe Pantoliano, Mackenzie Phillips, Pat O’Brien and Jane Velez-Mitchell. 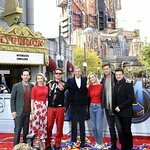 Past performers/presenters of the Experience, Strength and Hope Awards include: Robert Downey Jr; Danny Trejo; Ione Skye; Bobcat Goldthwait; Daniel Baldwin; Dr. Gabor Maté; Alonzo Bodden; Mark Lundholm; Bob Forrest; Sharon Lawrence; and actor Jack McGee. Event tickets are $100 and can be purchased here. Proceeds will benefit Writers In Treatment, which produces the national REEL Recovery Film Festival & Symposium. It is the longest recovery event in the country and provides thousands of attendees the best and newest films on addiction and mental disorders at no charge. We are grateful to our sponsors for their generous support is helping to make this year’s event possible.